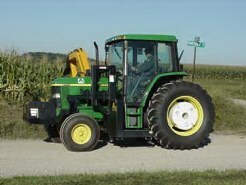 Tractor and Mower Equipment – Seigworth Road Supply, Inc.
Powered by a 40HP Isuzu Diesel meeting TIER 3 (Intermediate TIER 4) emissions and filled with Bio-Degradable Panolin Hydraulic Oil. 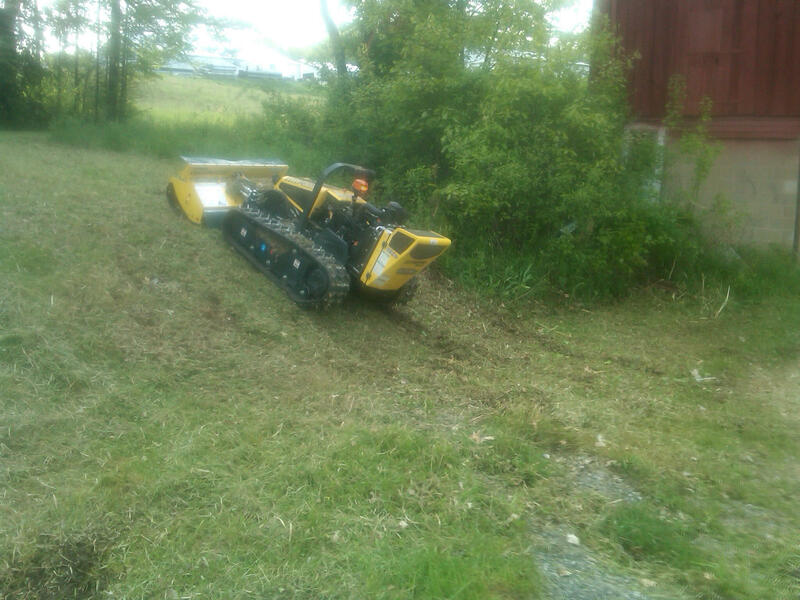 This remote controlled mower can tackled 60 degree slopes up to 1000′ away from the operator. 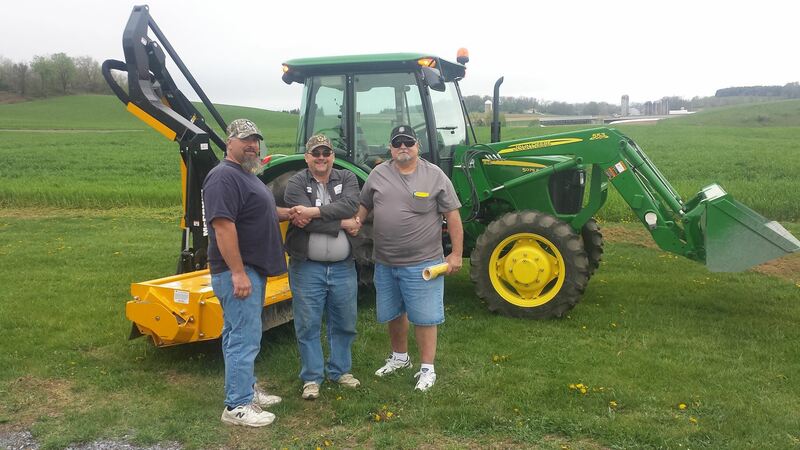 To Learn More About This Machine, Click Here. 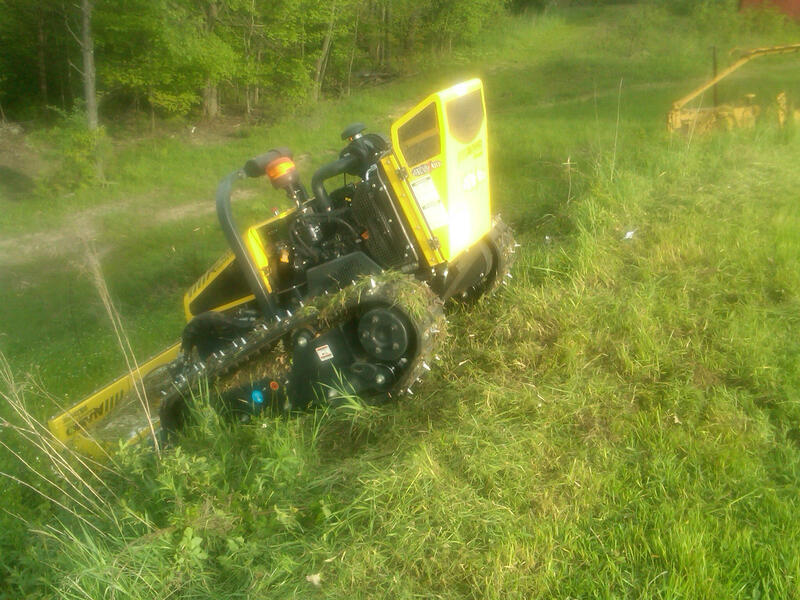 Alamo has released many new attachments to accompany their flail heads. 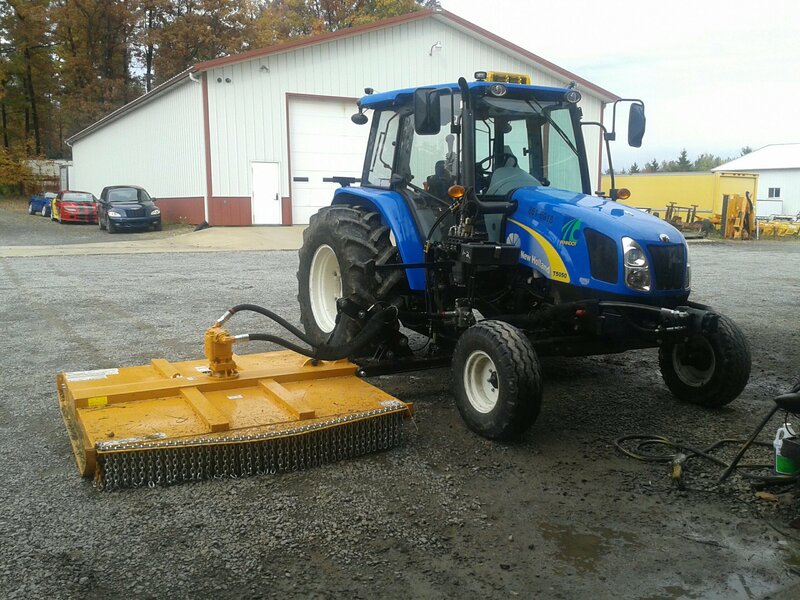 Attachments include Stump Grinder, Heavy Duty Front Bucket, Snow Blade, Snow Blower, Light Duty Trailer Hitch, and Heavy Duty Rubber Tracks for turf and other applications where spikes would be too aggressive. Check them out at the link above. 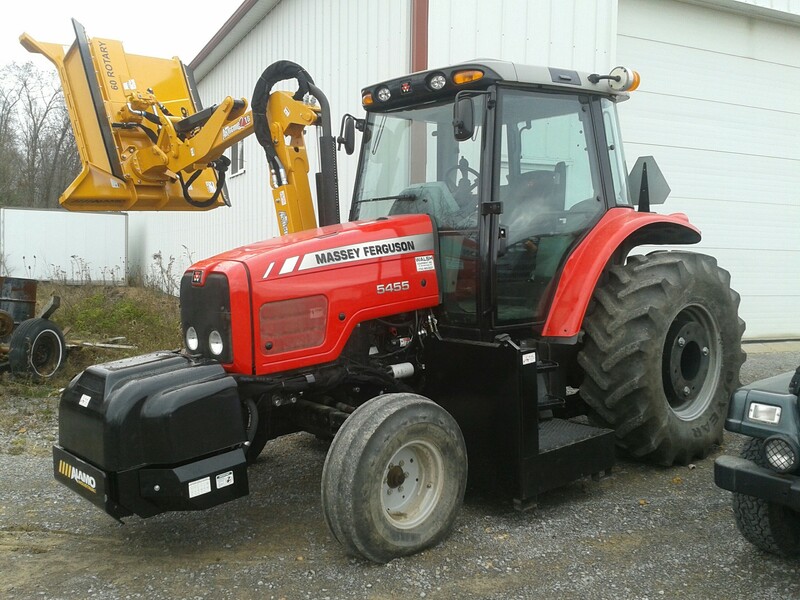 We are able to use just about any tractor the customer wishes, we are given a set of mount options and a set of guidelines for tractors that we are able to mount to, from there the sky is the limit, or in this case the limits of the tractor. 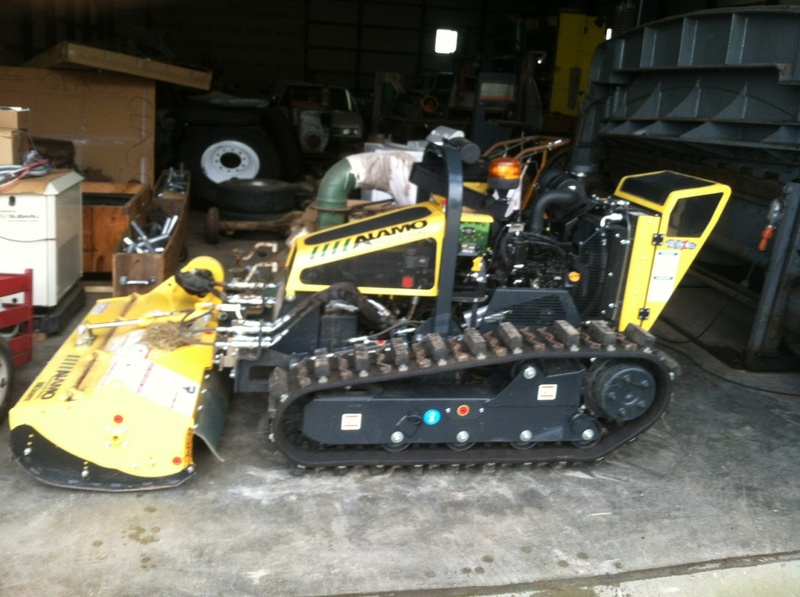 Alamo is the supplier for the mower line that we carry.